Uwell Crown Mini Review - Daily Vaping Deals & The Best Vape Product Reviews at Vaping Cheap! The Uwell Crown Sub Ohm Tank is one of the most popular sub ohm tanks on the market. It became a favorite of many vapers due to its excellent design, top fill system and solid performing coil heads. Even though there has been many newer sub ohm tanks released by Uwell that feature new coils and designs, some vapers just prefer the vape experience from the original Crown Tank. Now, Uwell has released their new Crown Mini, which sports a similar design to the original, but in a smaller form factor. Before getting any further, I would like to thank Uwell for sending this product my way for the purposes of this review. I will go over my first impressions, performance, pros and cons, and conclude with whether or not I recommend the Uwell Crown Mini! Check out the Uwell Crown Mini Here! Click Here to Check out the Uwell Crown Mini! When I received the Uwell Crown Mini, what I noticed first was the change in packaging. Newer Uwell products come in a tube styled packaging, and with the Crown Mini the packaging is pretty much the same as the original Crown Tank. Nothing good or bad really, just something I noticed. The packaging is sealed rather well, so this is surely a good thing in regards to this item being in transit. 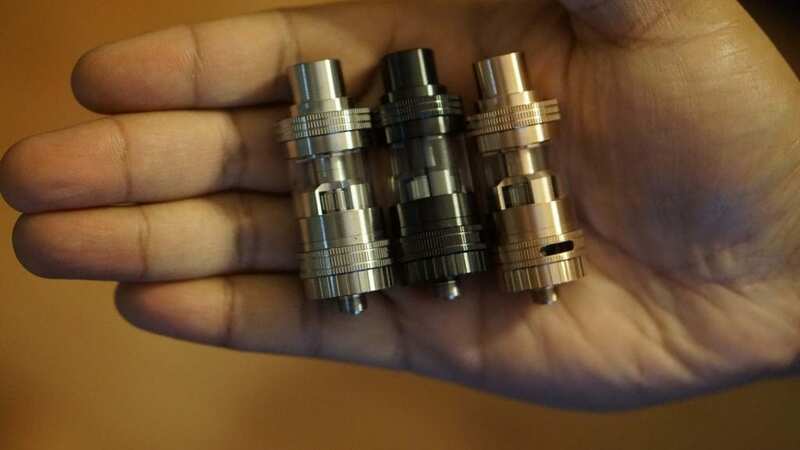 The Uwell Crown Mini is available in three different colors, which are stainless steel, rose gold and black. I do wish there was a matte black finish like what was seen for the Uwell SE-1, but it’s still a pro in my book that they offer multiple color options. All three of the finishes look really good, but my personal favorite was the black color. Upon taking the Uwell Crown Mini out of the packaging, I immediately noticed the similarities to the original Crown tank. To me, it looks relatively the same except in a much smaller form factor. So if you’re a fan of the design of the original Crown Tank, you’ll love the design of this sub ohm tank for sure. I did not have a Crown tank to compare it to, but I remember the original being much taller. I do like the size of this tank, it’s not too small nor is it too big. However, I do want to mention that this tank is a bit taller in comparison to some other “mini” tanks. The build quality of this tank is excellent. All of the threading was smooth, and everything came apart easy for cleaning. Uwell certainly did a good job with this tank in regards to overall build quality. Included in the packaging you do receive a pre-installed 0.25 ohm coil head, an additional 0.5 ohm coil head, an extra quartz replacement glass tank section, extra pack of o-rings, a product manual and a authenticity card. Both of the coil heads are composed of stainless steel, so you can vape them in both temperature control mode and wattage mode! The Uwell Crown Mini is compatible with the original Crown coil heads, which can be seen as a huge pro as those coils are favored by many vapers. It is a huge pro that include a ton of extras in the packaging. It’s always good to see at least two coil heads and an extra glass tank section in the packaging of any tank. The Uwell Crown Mini does include a stainless steel 510 wide bore drip tip. I do wish it was delrin, but it’s not the biggest issue in my opinion as this is just preference. You can use your own preferred 510 drip tip if you wanted, which is another pro to be mentioned. This sub ohm tank has a 2ml e-liquid capacity, and it features a top fill design. However, it does also feature a child-proof top fill design. It does have knurling to it, so it’s very easy to take off. I do wish more tanks would implement the knurling, as it does help when it comes time to refill your tank with e-liquid. There is also knurling for the airflow control, which makes adjusting the airflow incredibly easy. Not to mention, the airflow does click into place, which makes it even better in my opinion. I do want to mention that the Uwell Crown Mini came clean with no machine oil whatsoever. This is a huge pro in my book, as I do hate it when atomizers come drenched in machine oil. One rinse with warm water, and this tank was good to go! All in all, my first impressions of the Uwell Crown Mini were great! This tank is built quite well, and the fact that it includes so many extras is a huge pro! As mentioned previously, the Uwell Crown Mini does include two different coil heads, 0.25 ohm and 0.5 ohm. Both of these coils are composed of stainless steel wire, so you can vape them in either temperature control mode or wattage mode. Firstly, I will go over my experiences with the 0.25 ohm coil head, which is pre-installed. Before getting into the actual performance, I do want to mention that both coil heads had a break in time of about a half tank. This is about average in my opinion, and not really a con. After the break in time, I got full on flavor with no cotton taste whatsoever. On the Uwell website, the 0.25 ohm coil head is rated between 80w and 120w. Honestly, you really don’t need anywhere close to that wattage to get a satisfying vape experience. At about 75w, it does get a bit too hot for my liking, and the drip tip does get slightly warm. Speaking about drip tip, the included drip tip was quite comfortable and I did not have the need to change it out for a different 510 drip tip. The Uwell Crown Mini does handle higher wattages quite easily. My sweet spot for this coil head was between 55w and 65w. At these wattages, I got a nice warm vape, and the flavor was excellent. I was actually surprised by the flavor, it is quite good. The vapor production is not lacking by any means either! The 0.25 ohm coil head is simply a solid performing coil head. I encountered literally no dry hit issues, no leaking and it kept up perfectly fine with high VG e-juice even when chain vaping. I do want to mention that when you are chain vaping the tank does get slightly warm. Not really a con in my opinion, as many tanks get warm when chain vaping at higher wattages. You could still touch the tank, so it’s not overbearingly hot. Honestly, the flavor off of this coil is some of the best I’ve had with pre-built coil heads, and the fact that I can vape it under 60w and get a great vape is a huge pro. Also, this specific coil head literally lasted me a solid 3 weeks before I started to notice a decrease in performance. This is yet again another huge pro in my book. I preferred to vape this tank with airflow wide open. The airflow is nice and smooth, but it is a bit on the loud side in my opinion. In addition, with the airflow wide open you do get a restricted lung hit, which is something I do prefer. If you like massive amounts of airflow, then this tank probably wouldn’t suit you. 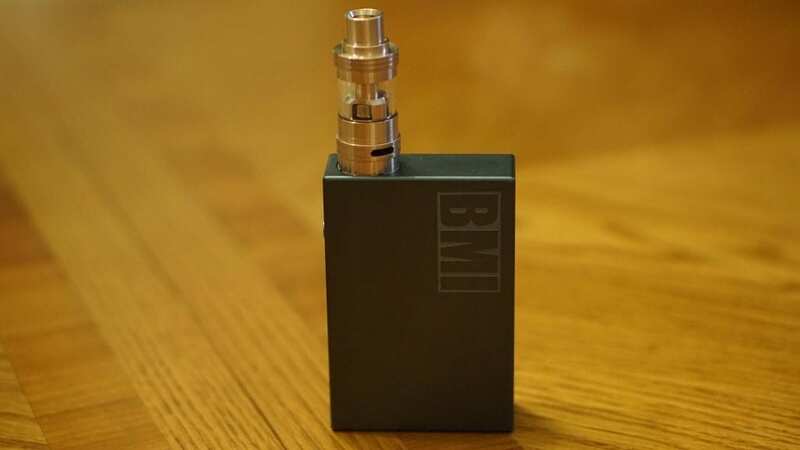 I do think the airflow would suit the vast majority of vapers though. When you do close off the airflow a bit, it does get even more restricted, and the flavor does intensify. However, at my preferred wattage, it just vaped better with the airflow wide open. Also, this tank isn’t really for mouth to lung vaping, it shines with direct lung vaping. Maybe with a different coil head you can get a good mouth to lung vape, but with the included coil heads, they’re certainly best suited for direct lung vaping. Overall, I thoroughly enjoyed the 0.25 ohm coil head. It had fantastic performance, and lasted a solid three weeks of consistent vaping, which is something that cannot be said for many coil heads. The 0.5 ohm coil head also vape great. However, it vapes better at a slightly lower wattage in my experience. I found the best wattage for the 0.5 ohm coil head to be between 45w and 55w. It’s not that much of a difference, but since it is a higher resistance it is best suited for slightly lower wattages. I do want to mention that I did experience some leaking when first filling the tank with the 0.5 ohm coil head installed. I have no idea why this tank leaked, and it is the only time the Uwell Crown Mini leaked on me. Regardless, it is something worth mentioning. The flavor and vapor production from this coil head was also very good. In addition, this coil lasted me for quite some time before I noticed a decrease in performance. 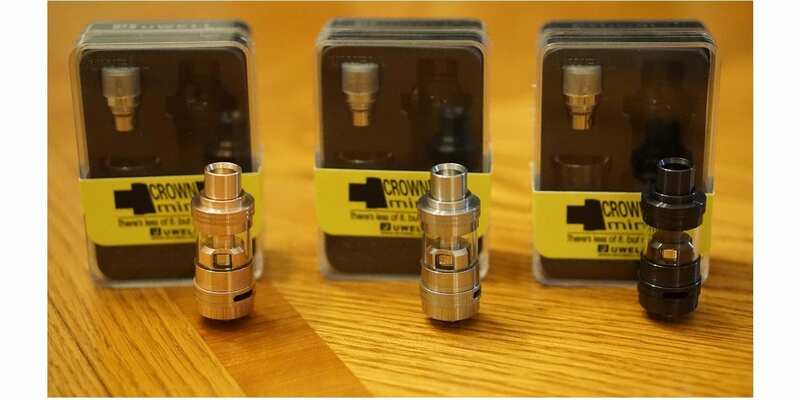 These Crown 1 coil heads are excellent, and it’s probably one of the main reasons why so many people love the original Crown tank. For this coil head, I did prefer the airflow wide open as well. Since the Uwell Crown Mini only has a 2ml e-liquid capacity, you will go through e-liquid quickly. When chain vaping, I could easily finish the entire tank in under an hour. Thankfully, filling this tank is very easy, especially with the knurling. Don’t worry about the child-proof lock, all you need to do is push down and turn to open it. The fill ports are large enough to accommodate a variety of e-liquid bottle types, which is another pro. However, I do want to mention that I did experience some minor spitback right after filling the tank. It does go away after about 2 vapes, so it wasn’t a huge issue, but something worth mentioning. All in all, the performance of the Uwell Crown Mini was excellent! The included coil heads had fantastic performance, and lasted me 3 weeks of consistent vaping! Not to mention, this tank had top notch flavor! In conclusion, the Uwell Crown Mini is an excellent sub ohm tank. Uwell really did a great job with this sub ohm tank. The overall quality is solid especially when considering the price. The coil heads are just fantastic and last for a very long time, which is a huge pro. I’m sure many vapers will like the fact that this tank utilizes the original Crown 1 coils. The airflow is nice and smooth, and the flavor is top notch. Honestly, I didn’t find any real cons to this tank. Aside from the fact that this tank only holds 2ml of e-liquid and I experienced leaking one time when first filling the tank with the 0.5 ohm coil head, there really isn’t any cons in my opinion. 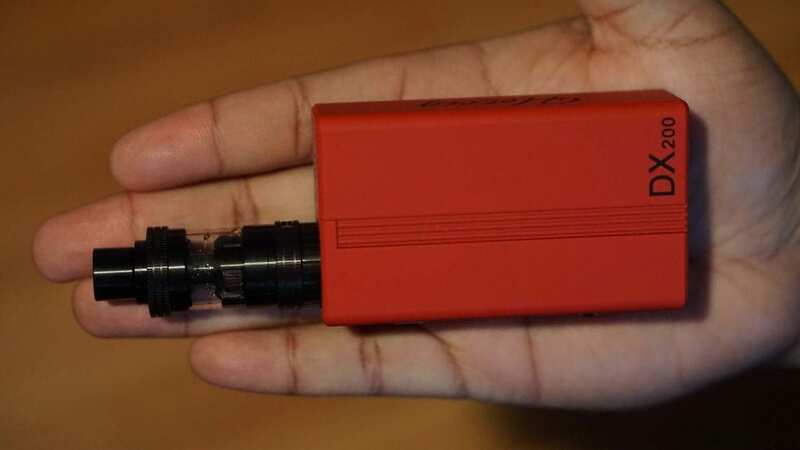 The 2ml e-liquid capacity is to be expected since it is a “mini” tank and not a full sized tank, and the leaking only happened one time and never again. Fans of the original Uwell Crown 1 will absolutely love the Crown Mini. For the price, this tank is pretty tough to beat, especially when putting into consideration the excellent performing coil heads. In addition, to this day, the flavor still surprises me, because it’s that good. All in all, if you’re in the market for a new sub ohm tank with excellent coil heads, I highly recommend the Uwell Crown Mini! Purchase Directly from Uwell Here! Purchase from Vapordna Here!